Author: Vreeland, Susan Set In . . .
With her richly textured novels, Susan Vreeland has offered pioneering portraits of artists' lives. 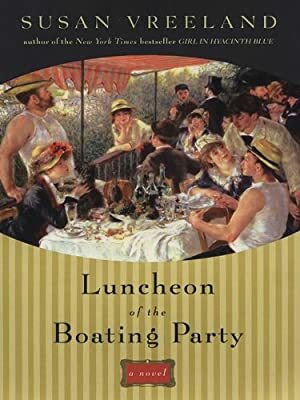 As she did in Girl in Hyacinth Blue, Vreeland focuses on a single painting, Auguste Renoir's instantly recognizable masterpiece, which depicts a gathering of Renoir's real friends enjoying a summer Sunday on a café terrace along the Seine. Narrated by Renoir and seven of the models, the novel illuminates the gusto, hedonism, and art of the era. With a gorgeous palette of vibrant, captivating characters, Vreeland paints their lives, loves, losses, and triumphs so vividly that "the painting literally comes alive" (The Boston Globe).